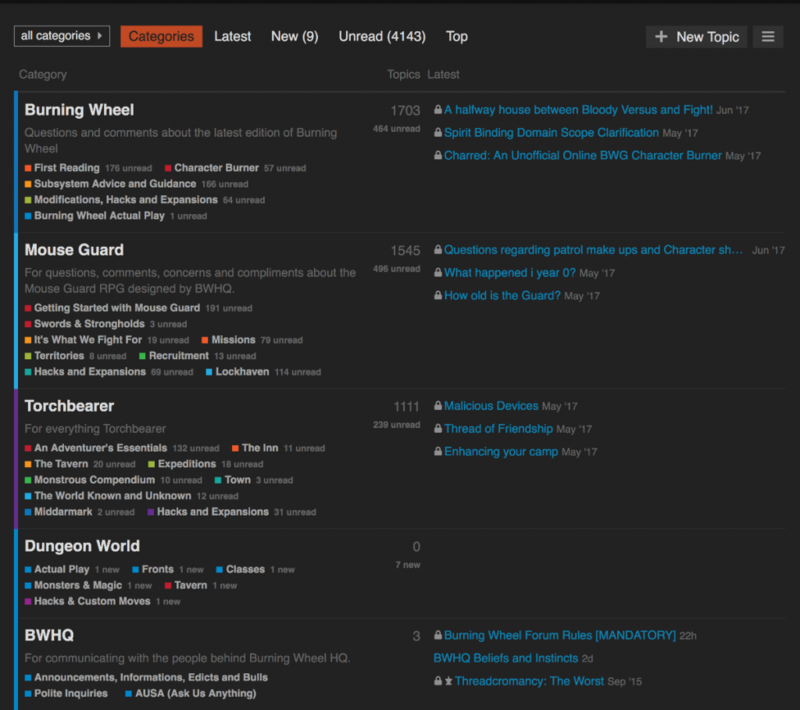 If you are new to the forums, click Sign Up to create a new account. If you had an account but never posted, your account was lost in the great purge. You’ll have to sign up again. If you are a veteran of the forums, click Log In and click I Forgot My Password. Your password has been purged, but you can create a new one and recover your account. Once your account is set up, join us in reading and posting about Burning Wheel, Torchbearer, Mouse Guard, Dungeon World, Burning Empires and even FreeMarket. We look forward to your coming home. 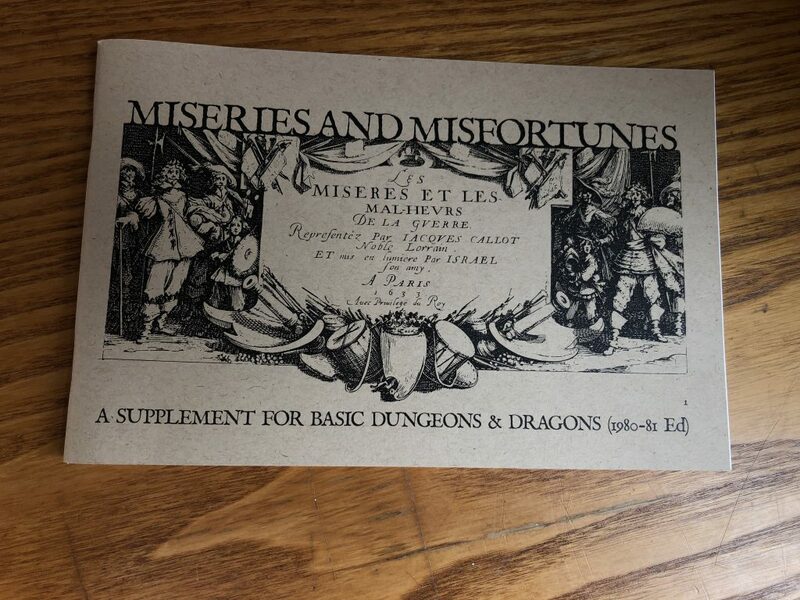 If you’d like to see one of Luke’s weird (obsessive) side projects, check out his new Miseries & Misfortunes campaign live on Kickstarter until February 16th. I hope you all have been following the #ZineQuest initiative on Kickstarter. It’s been great fun. For example, check out this sweet Torchbearer zine, The Grind, by our friends at Mordite Press. Not to be outdone, Thor has plans to announce a zine project for a new Torchbearer adventure scenario on February 17. You can follow me on Kickstarter for launch notifications or await the arrival of the goblin we’re sending to your house with a special message. This entry was posted in BWHQ News, New Materials, Promotions and tagged Burning Wheel, Community, Zines by Luke. Bookmark the permalink.